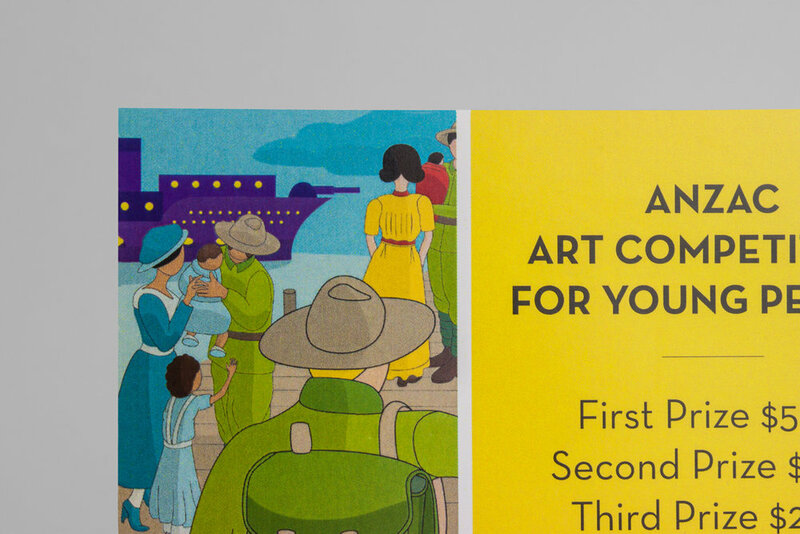 Ashfield Council engaged me to design and illustrate communication materials for a youth art competition on the history of the ANZACs, with an emphasis on the untold stories. The brief was to engage the largest target market, high school students, who were considered to be disinterested in the history. I approached this by developing illustrations in a style that appealed to the demographic but also functioned as a window into some of those untold stories. Ashfield Council wanted the students to be excited and curious about the subject matter rather than depressed or bored by it. They wanted the design to be bright, colourful, warm, light-hearted and young—the opposite of many traditional representations of the ANZACs.